Your eligible deposits with Melli Bank Plc are protected up to a total of £85,000 by the Financial Services Compensation Scheme (FSCS), the UK’s deposit guarantee scheme. This limit is applied to the total of any deposits you have with Melli Bank Plc. 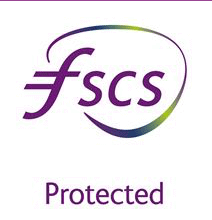 Please review How FSCS protects your money by click here or visit the FSCS website at www.fscs.org.uk . You can also refer to our FSCS Information Sheet by click here for more details.